The entirety of the entry fees go to in-store prize support going towards Favorite Players, Favorite Armies, and Best General. The number of prizes will depend on turnout. Lists will be Battleforged using the 8th Edition rules and must be up to 750 points. This is a team event, so that means teams will be a total of 1500 pts. There are no restrictions on which Detachments you may take, but lists must be battleforged and you may only use ONE Detachment. You will be narratively paired with a team-mate against narrative opponents in the first game. After this, teams will be determined by battle score with players performing well being paired with players performing not so well. Note that no two players will form a team more than once. Only source material released before July 30, 2017 will be allowed. Items up for pre-order on July 29 do NOT count. You may have a maximum of one under-strength unit in your list. All models should be a 3-color minimum and minimum based for this tournament. It is only 750 points after all. All units must be WYSIWYG - What You See is What You Get. Flamers are not Meltaguns. Any counts-as units must present a good effort to reduce confusion for your opponents. Counts-as must be provided to the Tournament Organizer (adam.fasoldt@gmail.com) before the event if you want to avoid your model not being allowed on game day. This is especially true for Forge World or Horus Heresy models. Make sure they are the legitimate models or the alternative models are very convincing. 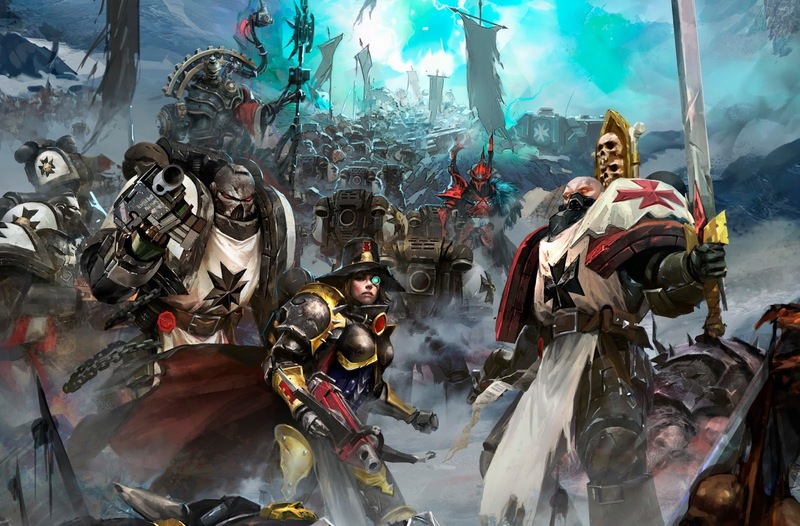 If we begin to see nothing but poorly built armies simply to take advantage of good rules, restrictions against these units will likely creep back into our events. Kitbashes must provide your opponent all the benefits and yourself all the negatives of any difference in size you may have modeled. Don't be a jerk. If you follow this simple rule, you won't go wrong. We are subjective about our modeling policies, and are happy to work with anyone, but if you try to follow them to the letter and squeak out some kind of advantage, you will be disqualified from the event. 3 Objective Markers with the center clearly marked. 5 Typed Copies of your army list. Be sure to notate who your Warlord is on your army list. If you are using a counts as army, bring a "cheat sheet" for your opponents. We will be limiting the command re-roll stratagem to being used for die rolls made after the first battle round has begun and to not be allowed to re-roll the roll to end the game on turns 5, 6, and 7. The player who finishes deploying first will, instead of going first, receive a +1 on the roll to determine who goes first. We will be using the Advanced Terrain Rules in this event. Other terrain rules may be present on the day of the event and also may appear in this space leading up to the event. Among the things being discussed is the concept of allowing tall models to strike units hiding on levels of terrain in close combat. Players on a team may NOT share the Command Points gained from their Detachment with their teammate. Note that players will get 2 CP for being Battle Forged instead of 3 and they cannot share Command Points.